Just reduced for a quick Sale. Owners loss your gain. Beautiful home to show. Large rooms, open living room and separate dinning room plus an eat-in-kitchen. Access to St. John's River for skiing, fishing and more. 3 ton package unit AC/heat 2015 Goodman hot water heater 2013 dishwasher 2017 roof corrugated steel 2018 hardwood floors 2016 updated lights and receptacles 2018 avocado tree fig tree orange and tangelo trees cherry tomatoes and blackberries are growing in the yard plus various other plants. 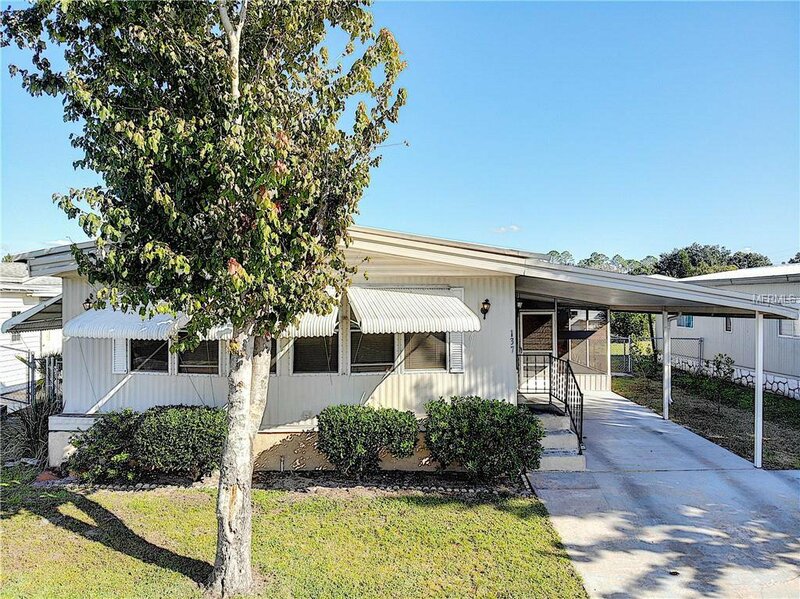 River access, Debary sun rail station malls and shopping storage compound various activities in park tennis court pool playground boat ramp gated community in a family park. Close to I-4 and only 45 minutes from beaches or theme parks. Subdivision has a boat ramp with docks, clubhouse, picnic are and more. Sold As-is. This home will not last long. Listing courtesy of PREFERRED REAL ESTATE BROKERS. Selling Office: KELLER WILLIAMS HERITAGE REALTY.